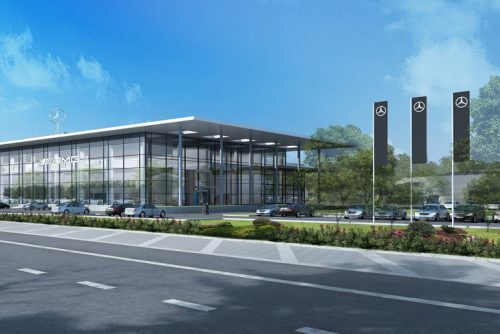 Europe’s largest Mercedes-Benz showroom is to open in Stockport later this year.LSH Auto UK, part of the Mercedes-Benz retail group, is set to open in the summer. Set across two buildings, the brand-new Mercedes-Benz retail space will come complete with industry-leading facilities. 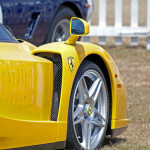 It will occupying 10.5-acres and showcase 140 vehicles. It will also display the Mercedes Benz new Electric range – EQ. Mercedes-Benz of Stockport will also include a brand-new bistro and dedicated event facility– the first Mercedes-Benz showroom in the UK to offer this new hospitality concept. There will be a major financial investment in the area and there will be 55 new jobs created at the new salesroom. LSH Auto UK has regenerated the site off Brighton Road with a state-of-the art, purpose-built three-story facility, which will form LSH Auto UK’s Mercedes-Benz hub for the entire Manchester area.